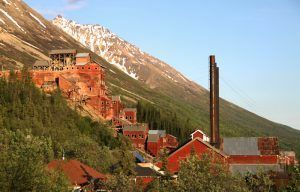 The Kennecott Mines and mill town are an abandoned copper mine operation and ghost town in Alaska that together, form a National Historic Landmark District. Located within the Wrangell-St. Elias National Park & Preserve, this historic site tells a story of discovery, perseverance, and ingenuity at a time when America was hungry for copper to build railroads, electrify cities and supply munitions to the WWI effort. Kennecott helped meet America’s copper challenge and in the process, transformed itself from a tiny mountain mining town into a large transnational minerals corporation. 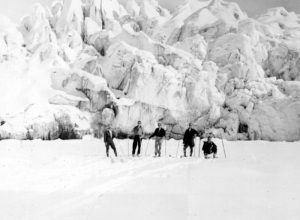 It all began in the summer of 1900 when prospectors Clarence Warner and “Tarantula” Jack Smith were exploring the east edge of the Kennicott Glacier. There, they found a large outcropping of exposed copper. When they had the ore assayed, it revealed up to 70% pure chalcocite, one of the richest copper deposits ever found. On July 4, 1900, the two prospectors filed a claim on what they called the Bonanza Mine. By mid-August, the two men, along with nine partners had staked much of the ground which would later become known as the Kennecott mines. A young mining engineer, Stephen Birch, who was in the area looking for investment opportunities for the wealthy Havemeyer family, began buying up shares of the Bonanza claim. However, without a way to transport the copper to market, it was worthless. Some said building a railroad from the coast, across mountains, powerful rivers and moving glaciers would be impossible. Others offered a glimmer of hope. Backed by Henry O. Havemeyer, a New York capitalist, Birch formed the Alaska Copper and Coal Company which was promptly sued by others claiming ownership of the deposit. 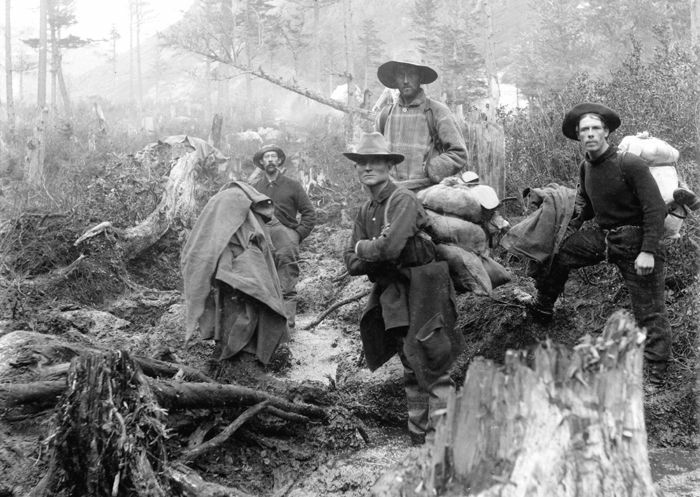 From 1901 to 1904 the Chitina Exploration Company, which claimed to have grubstaked the prospectors, and the Copper River Mining Company, which claimed legal title, dragged the suit through territorial and federal courts, but in the end, they lost and the Supreme Court of the United States refused to hear the case. In 1905 the Alaska Copper and Coal Company was reorganized as the Kennecott Mines Company. The Guggenheim family, controllers of the American Smelting & Refining Company (ASARCO) smelter monopoly, and J.P. Morgan, another wealthy industrial investor, entered the enterprise and organized the “Alaska Syndicate” to fund the mine’s development. 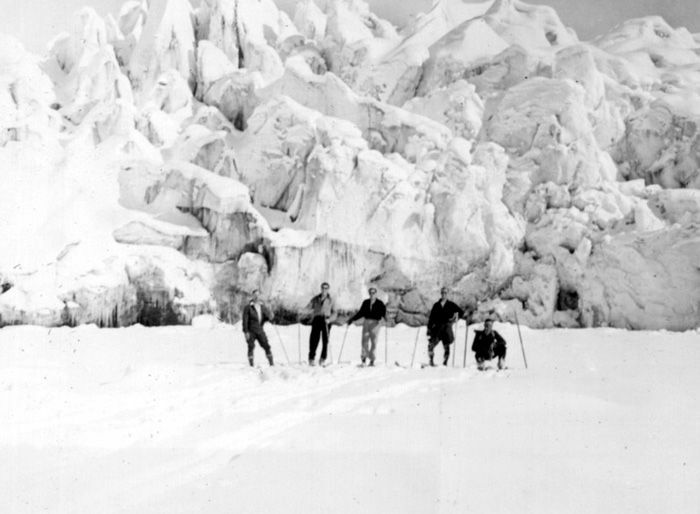 In the fall of 1907, the Alaska Syndicate hired Michael J. Heney, builder of the White Pass & Yukon Railroad. For the next four years, his crews worked relentlessly, building rail beds and bridges through difficult terrain at temperatures down to 40 degrees below zero. At the same time, Stephen Birch was in Kennecott developing the mining claims. 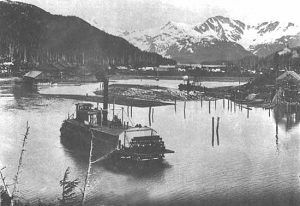 By hauling an entire steamship, piece by piece, over the mountains from Valdez to be reassembled on the Copper River, he was able to bring equipment in by dog sled, horse and steamship to begin mining ore even before the railroad was finished. Between 1905 and 1911, the syndicate spent $25 million to build the mine and mill works, the 196-mile railroad and organized a steamship line that connected the copper port of Cordova, Alaska with ASARCO’s Tacoma, Washington smelter. All this occurred prior to the first shipment of copper. 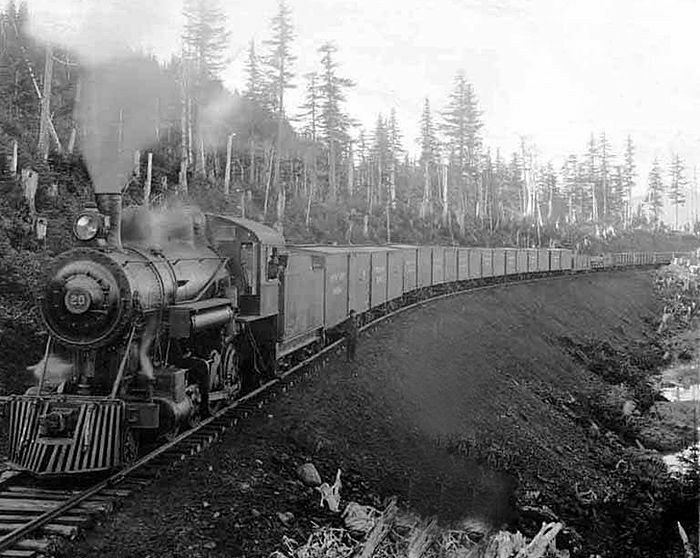 On April 8, 1911, the first trainload of copper, worth $250,000, was shipped from Kennecott in 32 railroad cars. By 1916 production had reached 108,372,783 pounds of copper worth $28,042,396. Kennecott was classed among the nation’s largest mines, with those at Butte, Montana, Bisbee, Arizona, and Bingham Canyon, Utah. During 1915-1922 it ranked 3rd to 7th in production of all the mines in the nation. 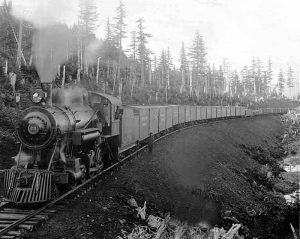 With the building and operation of the mines and their supply line — the Copper River and Northwestern Railway — this was the largest, most costly, and complex mining enterprise ever established in Alaska. But, Kennecott’s significance lies more in the quality of ore. Despite the general assumption that Alaska’s gold was preeminent, no single Alaskan placer gold district or gold lode entity was as productive in mineral wealth as the Kennecott. On April 12, 1915, the Kennecott Copper Corporation was formed by the Guggenheim and Morgan interests. Stephen Birch became the first president and saw to the transfer of the Alaska Syndicate holdings to the Kennecott Mines Company, including the Copper River and Northwestern Railway, the Alaska Steamship Company, and the Beatson Copper Company. The phenomenal profits from the Alaska mine provided the capital to fund Kennecott’s purchase of the Bingham Canyon Mine in Utah and the Utah Copper Company, as well as the Braden Copper Company and other low-grade mines in Nevada, Arizona, and New Mexico. By the 1930s, while the deposit in Alaska was nearing exhaustion, the corporation had expanded to become the nation’s largest copper company and an international force in the metals market. The Kennecott business organization had met the shifting realities of the mining world. The Kennecott deposit, though rich, proved limited in extent. The operation closed in 1938, after having produced an estimated $200 to 300 million worth of copper in 28 years. It then vacated the camp and donated its railroad to the territory. 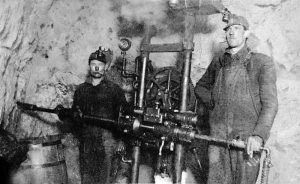 At the peak of operation, approximately 300 people worked in the mill town and 200-300 in the mines. Kennecott was a self-contained company town that included a hospital, general store, school, skating rink, tennis court, recreation hall, and dairy. While the mines were in operation Kennecott was a place of long hours and hard, dangerous work. At the height of operation, about 600 men worked in the mines and mill town. Paying salaries higher than those found in the lower 48 states, Kennecott was able to attract men willing to live and work in this remote Alaskan mining camp. Miners often worked seven days a week, coming down only for the rare holiday or to leave Kennecott. Mill workers and miners came to Kennecott only to work, living in bunkhouses with little time off, often sending money home to their families around the world. While Kennecott was primarily a place of work, ensuring a thriving community social life was good for the company’s profit margin, leading to stronger employee retention and lower training and transportation costs. Movie and dance nights in the Recreation Hall were a time of relaxation and social gathering. Other amusements centered around skating or sledding during the winter and baseball during the summer. Fourth of July and Christmas celebrations in McCarthy marked special events. Hunting and fishing absorbed what little free time existed. 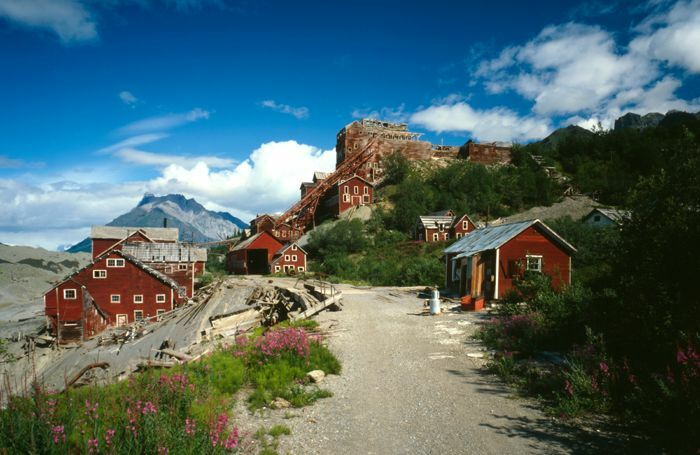 In June of 1998, the National Park Service acquired many of the significant buildings and lands of the Kennecott Mines National Historic Landmark and began the effort to stabilize and restore the buildings. Today, the mining camp is little changed since the 1938 closing and provides visitors with a window into the technology and work environment of the early 20th century. Technological artifacts remain in situ due to the site’s remoteness. Do you have any more info on McCarthy’s backstory? I’ve watched the TV show but not sure how accurate it is. Is the Kennecott Mine the one in the show?